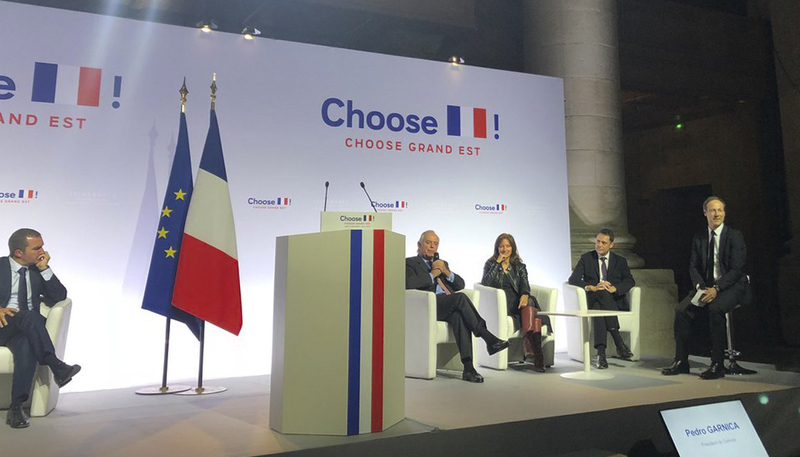 Garnica takes part in the “Choose France Grand Est” business summit in light of its commitment to build a new factory in France championing significant business investments in the area and presided over by French president Emmanuel Macron. Garnica was invited to take part in the summit on 5 November alongside other leading figures from the business and political communities. The event was held in the French administrative region Grand Est, an enclave with strong entrepreneurial flair made up of the former regions of Alsace, Lorraine and Champagne-Ardenne and bordering Belgium, Luxembourg, Germany and Switzerland. During the business, "Choose Grand Est" summit Pedro Garnica was given an opportunity to present the details of the new factory in France in the presence of the country’s president, Emmanuel Macron, and more than 400 delegates including some of his ministers and the Grand Est region’s president, Jean Rottner. French head of state Macron took the helm at the event and in his speech he highlighted the strong capacity of the area to promote the development of industry. Garnica is moving forward with the construction of this new plant to be located in Troyes, in the Champagne-Ardenne region. It will become operational in 2020 and will require an initial investment of €40 million and a total final investment of €80 million. In his speech, Pedro Garnica highlighted the excellent location of the plant, with proximity to a significant number of its clients as well as to poplar plantations - the main raw material used by the company. He also emphasised the good infrastructure and communication systems of Troyes and the availability of skilled labour. In addition, he thanked the authorities of the region for their exceptional cooperation and requested their support for the development of the poplar plantations and the training of qualified staff. Once the new plant is up and running the company will have a total of seven factories, guaranteeing the viability of its plans for growth. Garnica has had a presence in France since 2010 with another factory in Samazan, in the Nouvelle-Aquitaine administrative region.